Bring a friend (or three) on Monday, June 10th to Emerald Links Golf & Country Club for our 16th Annual Rotary Home Foundation Golf-A-Thon! Please join us and help by recruiting a Foursome or an Individual Golfer. You can play for Free with minimum of $272 in pledges! Raise pledges to support the Ottawa Rotary Home Last year Golfers, and enjoy an awesome day of golf and fun. 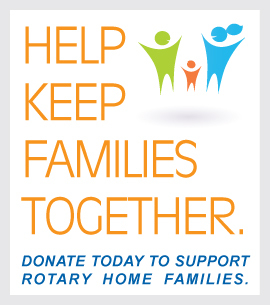 Last year, family, friends & the community raised close to $80,000 for the Rotary Home! Prizes for Top Fundraiser, Donations collected over $544, and more! All event proceeds will support Respite Care programs at The Ottawa Rotary Home. 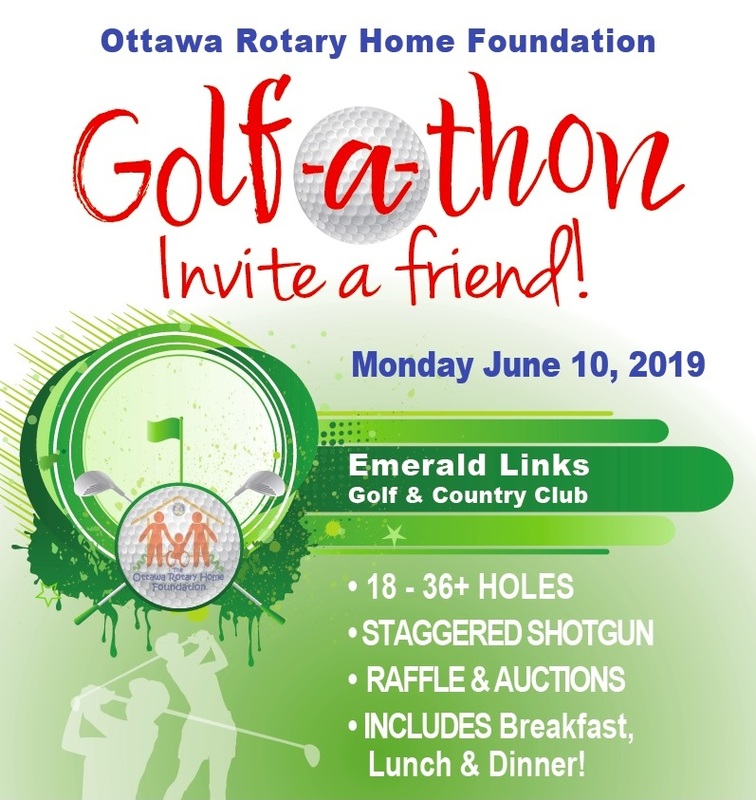 The Rotary Home Foundation Golf-A-Thon is one of the premier golf tournaments in the Ottawa area boasting All Day Golf, Three Excellent Meals, Raffle Table & Auction. You can play for Free with minimum of $272 in pledges! To register for 2019, please visit our Golf-A-Thon web page. The Rotary Home Foundation Golf-A-Thon is one of the premier golf tournaments in Ottawa boasting all day golf, three excellent meals, fun competitions throughout the day, and a charity auction. The funds raised this year would allow 200 nights or more of respite care in the Rotary Home’s adult wing. This amount of service has a huge impact on the individuals who stay at Rotary Home and their families. It is a lifeline that helps keep them healthy, happy and strong. It also means the program can keep running throughout the summer and fall so families can plan their respite in advance and really make the most of it. Thank you again for your support last year and we hope to see you on Monday, June 10, 2019.